This game is a Mision-Based type.There are side quest too.Speak to moogle to take a mission.Mission progression works like this: Get orders, move to world map, then head to the battle field. You clear missions by clearing certain conditions. There is a time counter in the lower right corner of the screen that is counting down to zero. Once time is up, you'll begin a mission that's part of the story. This mission is required and will take you out to specific mission points on the world map.Multiplayer in in this game. Other player can join your mission but only for 3-4 minutes. -Kill Sight System : Based on Lock on enemy.Red lock mean OHKO (One Hit Kill).Yellow lock mean Critical Hit. -SO (Special Order) : If you clear the special order at the end of the mission, you will be rewarded with items and other bonuses. Failure results in your character dying. You have the option to accept or ignore the special orders. -Gunshin : Summon like other FF game.Players select the Gunshin that they want to take into battle. When you call out a Gunshin, you take full control of it. When using a Gunshin, the player who summoned the beast sacrifices themselves and can no longer be used in the remainder of the battle.Confirmed Gunshin for now are Ifreet,Odin,Shiva,Golem. 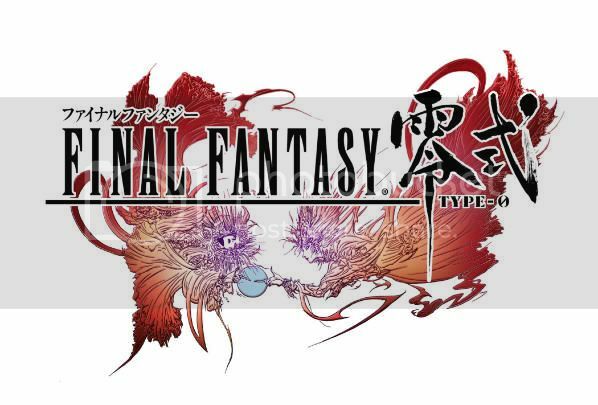 -Magic : The magic system in Type-0 is different from other Final Fantasy games. All characters can use magic.There are three forms of elemental spells, namely fire, lightning and ice. There is also white magic and special magic as well.Also each element has 5 different spell variations with their advantages and disadvantages. They are called Shotgun, Rifle, Bomb, Missile and Rocket Launcher. You can charge a magic spell. When you hold a button down for example, Fire charges up to Fira. If you customize a spell, like Fire for example. You can reduce the amount of time it takes to cast it and change the speed and power of the spell itself. The game will have a world map is what players expect of a Final Fantasy game. It's big and you'll get into encounter-based battles with monsters as you walk around. There are also dungeons too. The world map also has towns you can visit and you'll be able to do shopping and so-forth. You also use chocobo's and airships to travel around as well. Machina : A young man with dark hair and an elegant red cloak who fights using a pair of screw-shaped rapiers. He is transferred into the legendary Class Zero alongside his childhood friend, Rem, due to his high magic proficiency and steadily advances forward in spite his fear of war. Rem : A young woman with short brown hair that dual wields daggers. She was transferred into Class Zero along with Machina. She's moral, kind, and honest, and has an outstanding hidden talent for magic. Ace: A blond boy who wields a deck of cards. Despite his youthful appearance, his speech and actions are exceptionally impressive. Though usually calm, he has a reckless side and will sometimes rush off and act out of anger. Deuce: A brunette girl who wields a flute. Her special attack is Concert. Trey: A handsome, blond-haired youth armed with a bow and arrow. His basic attack is Magic Arrow and his special attack is Arrow Shower. Cater: A female, handgun-wielding member of Class Zero with dark brown hair. She's very confident and direct.She fires magic bullets (which is why she doesn't need to reload) and is capable of rapid-fire. Cinque: A young lady with brown, braided hair who fights using a mace. Her basic attack is called Crush Mace and her special attack is Earthquake. Sice: A girl who wields a scythe as a weapon, she isn't very good with words but has good judgement. Seven: Armed with an extending chain whip. She was named "Mushi" ("Whip") in early footage, after her weapon of choice.Her special attack is Catch. Eight: A young martial artist with short red hair who wears a pair of knuckles. His basic attack is Power Knuckle and his special attack is called Icefloe Kata. Nine: A young man with a scarred face and disheveled uniform who wields a spear. Impulsive and straightforward, he sees the world in black and white and only feels satisfied when things aren't complicated. Even though he has a foul mouth and isn't exactly wise, his courage boosts Class Zero's morale on the battlefield. Jack: Armed with a katana. He was named "Katana" in early footage, after his primary weapon.Slow but armed with ability to dodge enemy attack. Queen: A young woman with long black hair and trademark glasses who wields a saber. She's referred to as the team's class president, and her dignified appearance and intelligence suit her name. King: A young man who looks cold, but is actually kind-hearted.He Wields two guns and must reload the bullets. 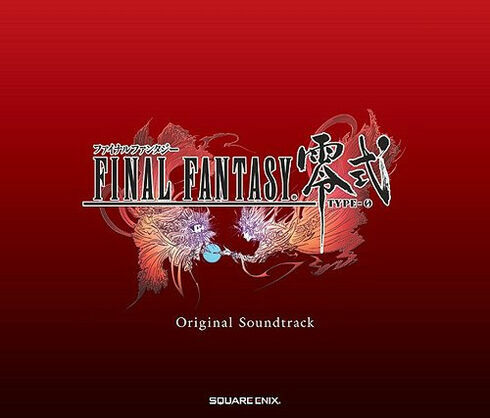 The world of Final Fantasy Type-0 is called "Orience". Home to the main characters, who attend the Peristerium Suzaku, a magic school. The nation is governed by a group of eight who also head up the school. Attendees at the Peristerium are selected by the crystal for their magic ability, and following entrance exams are split into appropriate classes. The characters you control are all in Class 0. The head of state is the school chancellor, Khalia Chival VI, who was known as a great sorcerer in his youth. An empire whose emperor has gone missing. Admiral Cid Aulstyne now handles all matters of government, and desires to obtain the crystals from the other three nations. Cid also heads the Byakko Peristerium, an organization that conducts research into the energy from the Byakko crystal. This energy is used for military and domestic affairs. Different from the crystals of other countries, whose power can be wielded only by a select few (like the students in Suzaku), the power of the Byakko crystal is used to create weapons and "Mado Armor" mecha, which can be used by all citizens. This has allowed the army to develop into a force of many tens of thousands. In Lolica Commonwealth, located in a harsh mountain region, Genbu Peristerium manages the Genbu Crystal. The people of Lolica directly take in the power of the crystal to strengthen their bodies, making them bigger than the people of other countries. Pretty much all citizens serve as knights for the country. A central figure in Lolica is Gilgamesh, a l'Cie from the Genbu Crystal. He has forgotten his focus (mission) and appears on the battle field attempting to target opponents' weapons. The l'Cie in Type-0 appear to be similar to the l'Cie in FFXIII -- they're given a focus, here by the crystal, and hold greater power than a normal human. A kingdom that manages the Souryu Crystal. The people of Concordia use the power of the Souryu Crystal to communicate with dragons and monsters, an ability that is used to aid in daily life and to give military strength. Most citizens are small framed even as adults, and soldiers rely on speed and lengthy spheres for combat. Kalau Inggris-- rasanya nggak masalah. SE jadi cepat mengerjakan semua versi NA semua gamenya. Duodecim NA aja terhitung cepat kalau dibandingin sama game-game sejenis. Yang jelek dari SE itu kalau mulai pekerjaan. Ia tuh....FF versus kan contohnya...Dari tahun berapa iklannya...Sekarang masih dikerjakan...Yah mudah2an aja lama waktu keluarnya ini ngebuat game nya itu jadi lebih baik..
agito ini yang lamanya sama kayak versus. ingat jaman PS2 dulu?? katanya game terakhir PS2 rogue galaxy?? Untung ada Dissidia duodecim sebagai selingan nanti yang ada World mapnya juga..